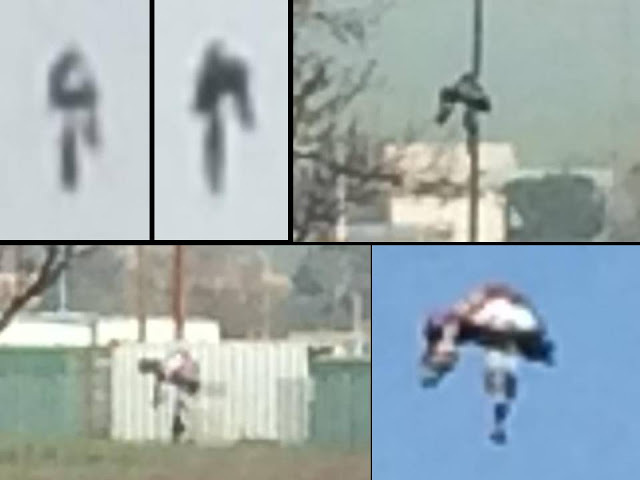 A strange humanoid-like figure is photographed in the sky over Dublin, California on March 9, 2015. 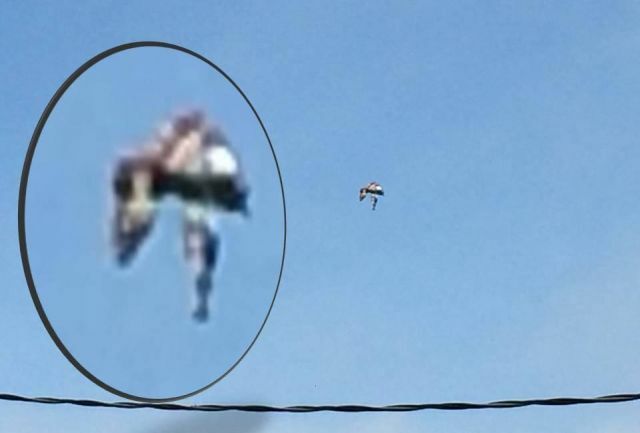 Witness report: I was in a parking lot going to load a backhoe on the trailer when looking at the sky, which I do frequently, wasn't sure but thought it was a balloon descending. By the way it was moving said to myself that's no balloon. So I grab my phone and started to document it's travel taking numerous photos of it. It acted as if it were a blimp in the way it was maneuvering, but it made no noise, had no propellers, didn't move to fast, but was consistent in its speed. It almost landed then it took back to going up and over toward me at that point it went basically straight back up into the sky till I couldn't see it anymore. If it was just a drone, it was high tech. I was kind of amazed at it was so quit and what propelled it. 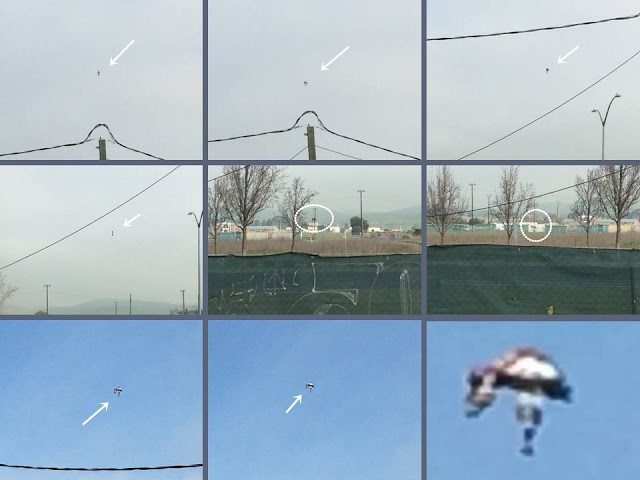 Mufon case 66894. The witness photographed something mysterious, something with advanced technology carried out by a secret black budget project or is just a blimp, balloon or drone? seriously look like a multicopter with a custom gimble or some attachment. the comment of no sound means nothing since they can be quiet esp from minimal distance even. I saw something similar in Sedona Az last week. I have pictures. Not sure what it is but it looks exactly like these pictures.